Aditi Khorana spent parts of her childhood in India, Denmark, and New England. She has a BA in international relations from Brown University and an MA in global media and communications from the Annenberg School for Communication. She has worked as a journalist at ABC News, CNN, and PBS, and most recently as a marketing executive consulting for various Hollywood studios including Fox, Paramount, and Sony. She is also the author of Mirror in the Sky. She lives in Los Angeles and spends her free time reading, hiking, and exploring LA's eclectic and wonderful architecture. For more information, visit aditikhorana.com. "Khorana creates a beautiful and fantastical version of our world where gods and spirits walk among mortals. 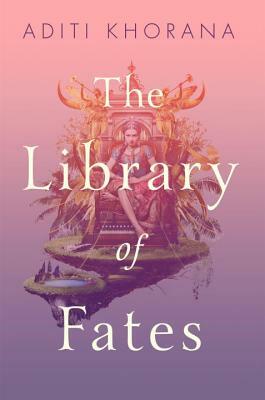 The fables repeated throughout foretell Amrita’s journey, seamlessly interweaving her past and future and mirroring a thought-provoking narrative that touches on weighty philosophical questions." "Khorana has created a lush, magical world inspired by Indian mythology. ... [A] wholly compelling story."